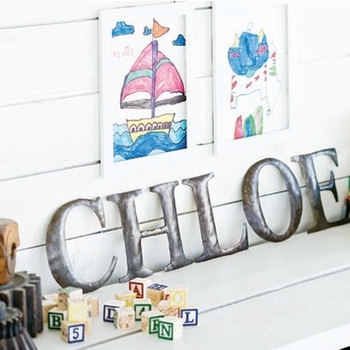 Personalize your space with verbal flair! OK, you were just trying to personalize your space when you took crayon to wall as a kid, and what happened? Mom rewarded your creativity with a very long time out. 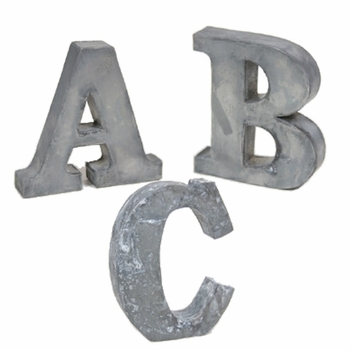 You can come out of the corner now because your verbal flair can flourish with Iron Accents metal wall letters. 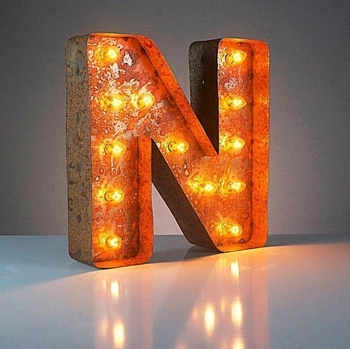 Our alphabet soup of standing and hanging wall letters are derived from multiple materials including steel, antique brass, salvaged and recycled wood, tin, industrial zinc and galvanized metal. 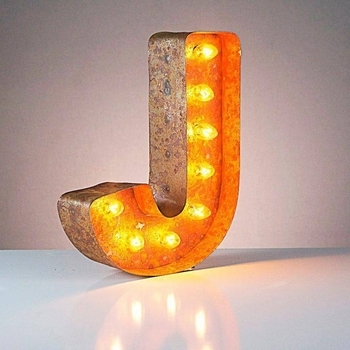 For the truly expressive we carry Lighted Letters and Symbols reminiscent of county fair carousels, complete with red paint and fond memories. Take a number! 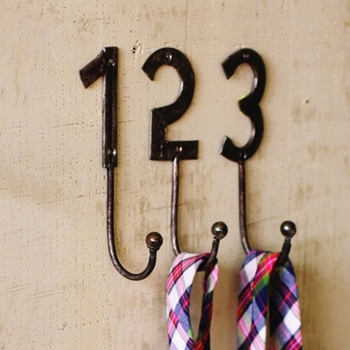 We've got galvanized, primitive and vintage style digits and hooks that are too cool for school and pair well with letters. Some are sold in counting sets of ten while others can be coordinated to grab attention as your street address, a special date or a shout-out to your # 1 fan. 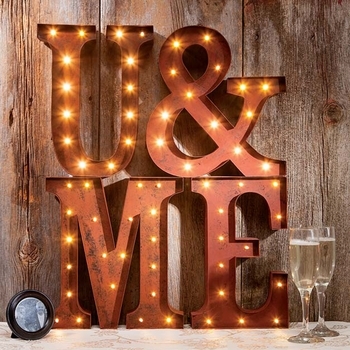 Display your initials. Point the way to the pool. Post weekly allowance rates. Let us spell it out for you…from the traditional to the quirky, wall letters and letter hooks graphically convey what you really want to say. Personalize your table as well - take a look at our Letter Dishes!